T’is the season to make healthier work choices for 2018. 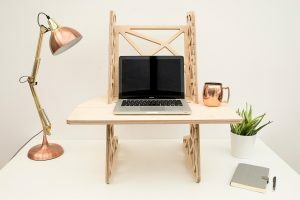 If your workspace has become as tired and ineffective as your mind and body, or you’ve been pondering an office refresh or standing desk to improve your health, now’s the time to do it. With a few small changes, you’ll see a big improvement to your wellbeing and productivity, as well as your decor. The fresh new year is a time for most of us to make a few tweaks to our lifestyles to improve our health. From joining gyms to booze-free Januarys, most people hit the new year with a renewed focus on wellness and wellbeing of some kind. However, with all this extra-curricular activity going on, it’s easy to forget the bad habits we’ve built up in the place we spend most of our time: the office. 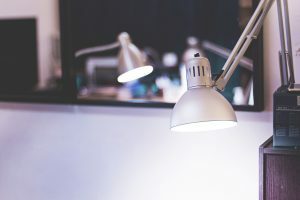 Working in the correct lighting conditions can have a big impact on your focus and energy throughout the working day. Take a good look around you and work out where the light in the room is coming from. Old-school florescent lighting strips are known to operate at a frequency that can cause headaches and lethargy, so consider replacing with flicker-free, diffused LED lighting. Take care to pay attention to the temperature of the lights you buy as many LED bulbs and tubes are sold in bright white (cooler) variants that are too bright for computer work. Try and mimic daylight in the winter with warmer lighting and experiment with bouncing light off walls – reflected and filtered light is kinder on the eyes and less tiring. Equally, on bright days, make sure you keep low winter sun out of your workspace with blinds on windows, and position your computer to minimise glare or reflection of your screen. Taking deep breaths is highly beneficial for general health and stress levels, but only if the air available is clean and not stuffy. When it’s cold and damp outside, it’s easy to shut yourself away, huddled around a radiator with all the windows shut but working in this kind of environment can be high in CO² and will make you drowsy and far from alert. Opening a window for just half an hour can increase the air quality in your room immensely. 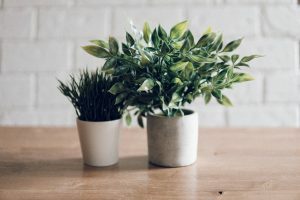 Also consider bringing some green plants into your workspace. Biophilia, such as plants, absorb CO² and output oxygen which will help sharpen your mind, enriching every breath with cleaner air. You may also want to consider an air purifier which can filter dust and pollen particles out of the air in your room, but these are typically £200+ and most useful for those with allergies. If you spend 8 hours a day+, 5 days a week slumped in your office chair, you’re going to feel lethargic. We’ve written before about the health risks from sitting for too long. Your posture and body positioning greatly affects your mental attitude towards work, too. By ditching the chair and standing up to work you are enabling your body to move, which is essential for a healthier working lifestyle. 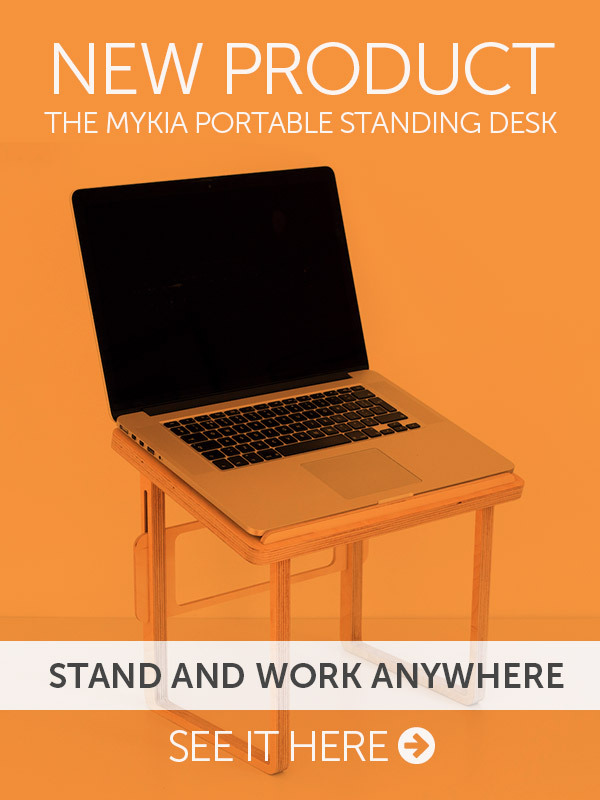 Standing and working can improve lower back strength, increase mental focus, make you sound more confident on the phone and stop you from procrastinating. 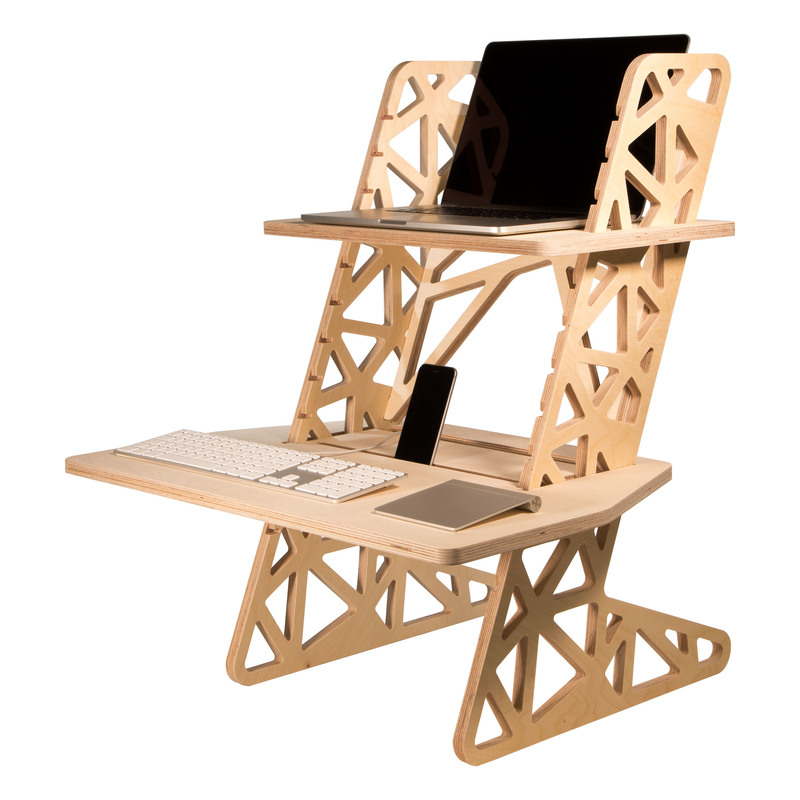 When making the choice to start standing up at work, many people ditch their regular desk for a mechanical wonder that goes up and down at the flick of a switch, but then find a few weeks later they are back to sitting at their desk when the going gets tough standing up. 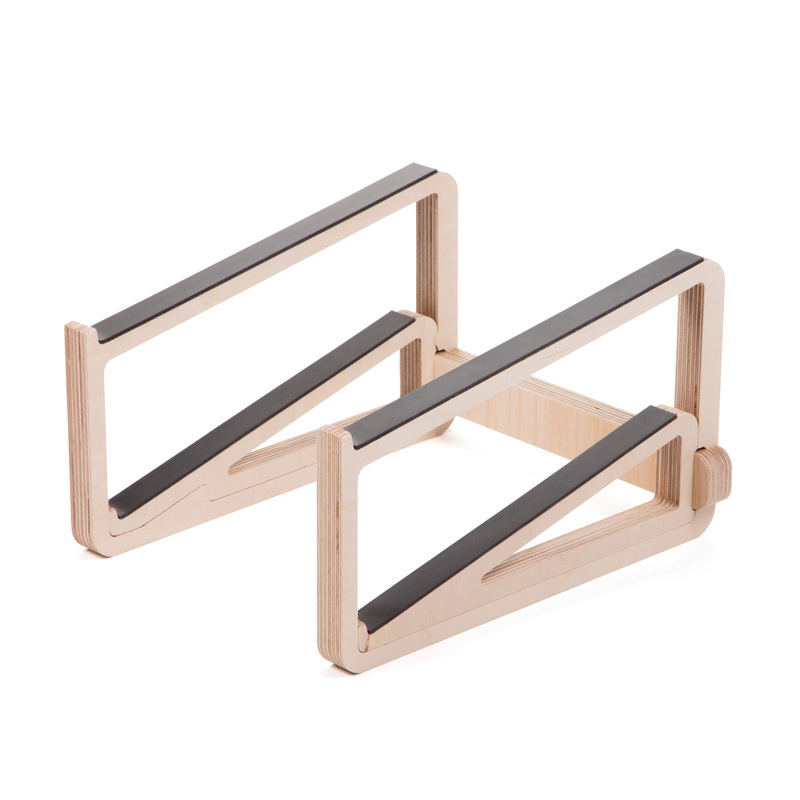 Adjusting to using a standing desk takes time, which is why we developed an adjustable standing desk converter that works on your existing desk or table and encourages you to keep standing (rather than having an all too tempting ‘sit’ mode). 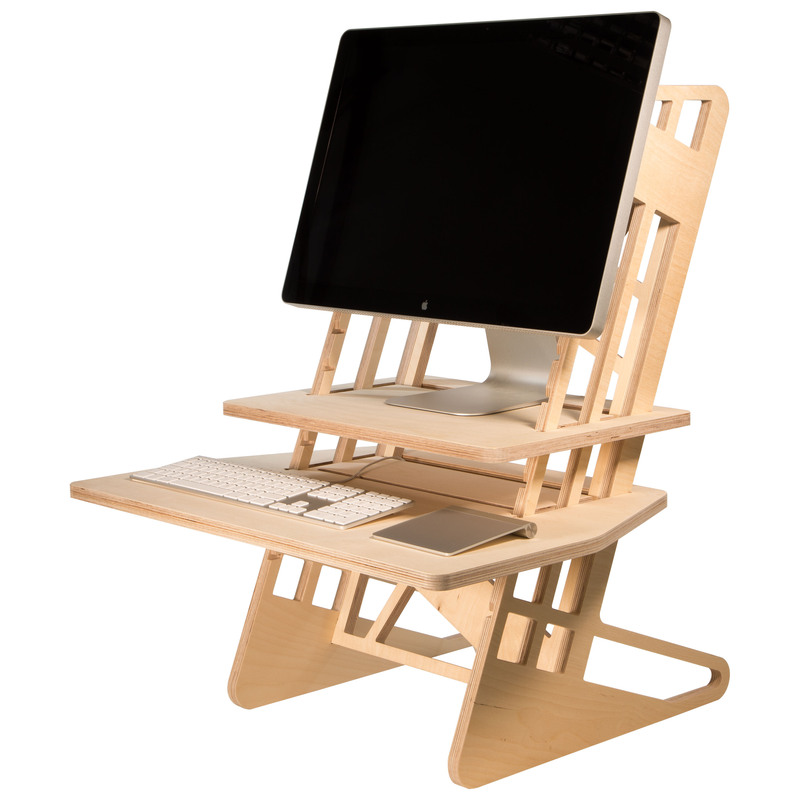 Check out our range of standing desks here. If you search social media for images of workspaces and setups, you’ll see pristine desks with only a laptop and a cup of coffee on them. Where are the post-its, the unopened envelopes and scraps of paper with important notes on them? Our surroundings can greatly effect our wellbeing and if they are cluttered and chaotic – our mind can feel the same way. 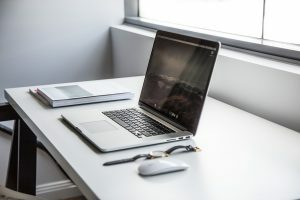 If you are looking to improve focus and concentration, it’s time to tidy your desk, throw away your rubbish and invest in some storage to hide the clutter you can’t do without. Where do our ideas come from? Research, reading, web browsing are all important ways of absorbing information into our subconscious, but if you’re staring at a blank wall whilst battling with writers block and thinking of nothing you need to rethink your view. 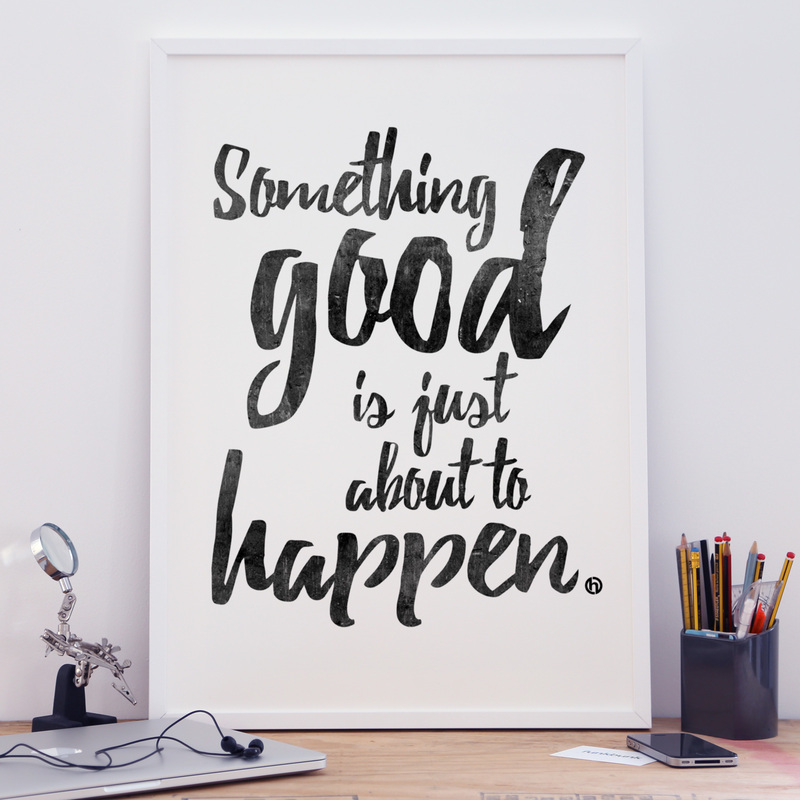 Fill the wall with visuals that motivate and inspire you. Postcards from dream destinations, quotes from role models, photos of your goals in life, art that transports you to another place, or images that make you smile. Whatever your style, no matter what space you have, try to create a happy, inspirational space that you can lift you when work gets tough or mundane. Remember to keep it updated, too. 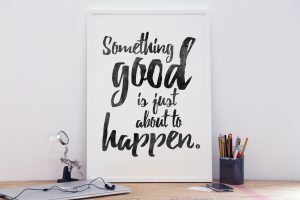 We all change our minds and discover new things every day – stick what you find on your wall or pin board and look upon it often! 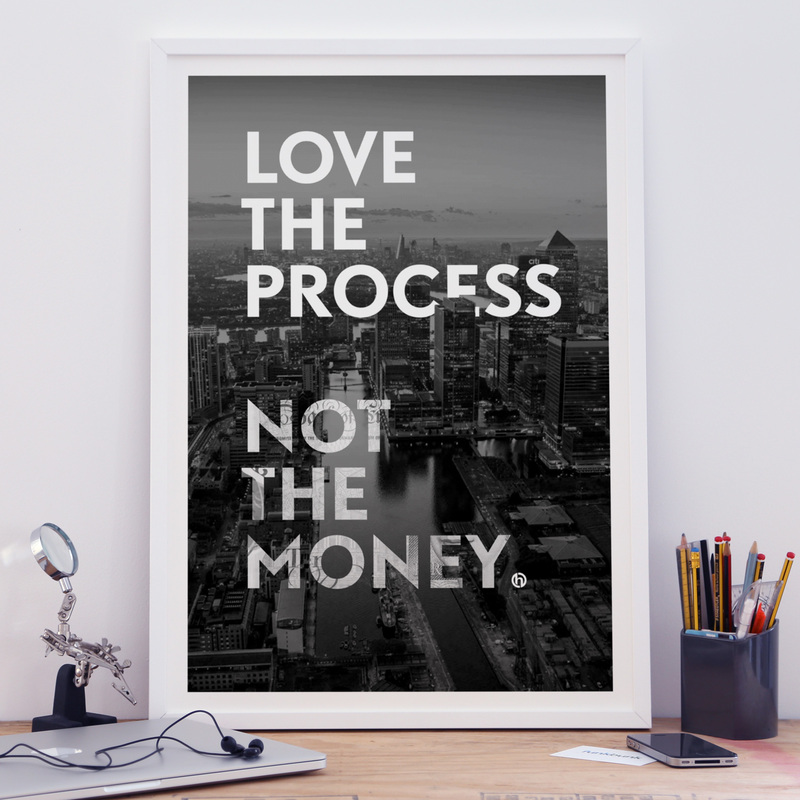 If you don’t know where to start, take a look at our range of office art for inspirational workspaces. Make these small tweaks in 2018 and your mind and body will thank you for it! Found this post interesting? 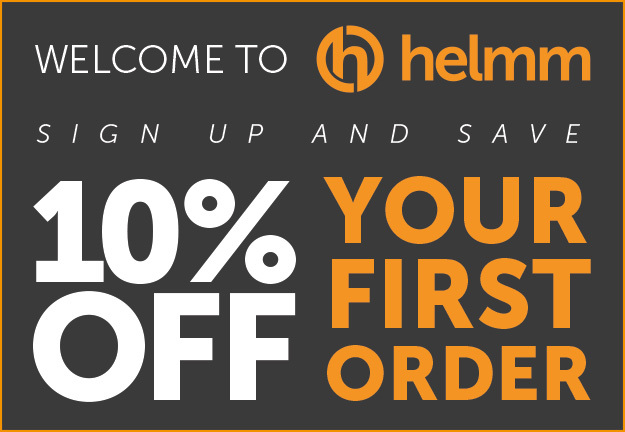 Sign up to our newsletter here (and get 10% off your first orders a thank you).